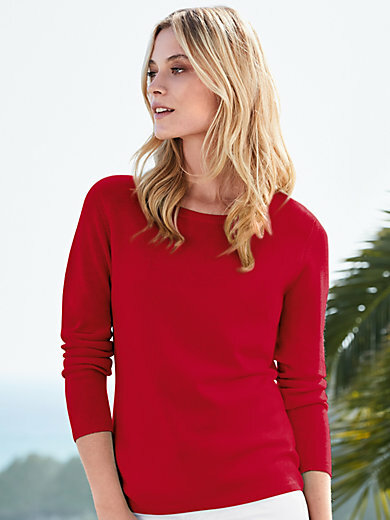 Round neck jumper by include. Slightly tailored style with narrow ribbed cuffs. Length approx. 24 ins. Modern basics in soft feel-good quality. Two-ply yarn with elegant pure new wool and fluffy cashmere. Choose your favourite colour from the beautiful range on offer – or maybe that should be colours? 70% new milled wool, 30% cashmere. Hand wash.